This piece contains spoilers for Justice League. Please read at your own discretion. With a film that had Batman, Wonder Woman, Flash, Aquaman, Cyborg, and Superman, there’s no doubt in my mind that Justice League should have made at least $100 million at the box office. DC’s four previous films have each made over $100 million domestically on opening weekend. Unfortunately for Justice League, the expensive reshoots, Affleck casting doubt on continuing on as Batman, and the the negative critic reviews may have hurt this film at the opening box office. However, while I thoroughly enjoyed this film, the movie does have its flaws. In fact, most of these flaws are rather glaring and may be part of the reason the reviews are what they are. Here are five major changes DC could have done to improve the film dramatically. Steppenwolf was an underdeveloped villain in this movie where Snyder elected to focus more on our heroes and less on the big bad. Now where have I heard that one before? Steppenwolf certainly came prepared to battle the #JusticeLeague in this movie. While the action scenes of him fighting our heroes looked pretty good, the close-ups of him talking however do not. For some reason, Warner Bros. elected not to go with motion capture but rather decided to go with a completely digitalized villain. This was a very poor choice on their part because the villain never truly seemed believable. Though the voice over worked well, the lack of practical effects however put a detriment on Ciarán Hinds’s acting ability. 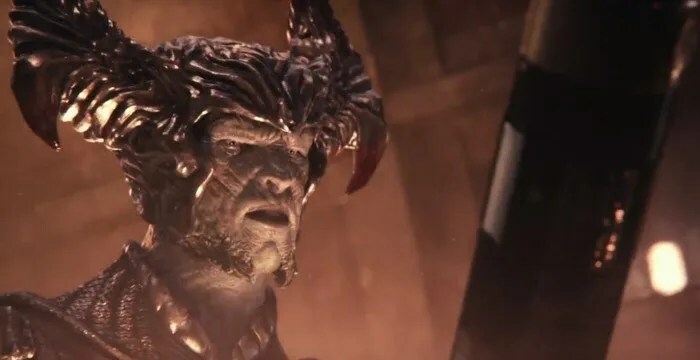 Steppenwolf appeared cartoony in many scenes and could have used a bit of a make-over with the use of some practical effects, at least with the close-up shots. Batman v Superman: Dawn of Justice Knightmare Batman sequence gave audiences a pretty good hint at what’s to come for planet Earth. Although the film dives a little into Steppenwolf’s motivation of retrieving the mother boxes, the movie never mentions the Fourth World or the planet of Apokolips. Justice League did a big disservice with Jack Kirby’s influence on creating DC’s New Gods. We are never taken to that world of New Genesis to show us the other New God’s that exist. This could have been a great way to expand the DC cinematic universe by showing audiences that there’s more than just planet Earth. Much like Guardians of the Galaxy and Thor did for the MCU, New Genesis could have been the gateway to the DC cosmic universe which would have helped set up future films. Justice League would have been a great opportunity to at least show us a glimpse at one of DC’s most powerful comic book villains; Darkseid. Despite Thanos appearing in an after-credit scene of Avengers, Darkseid could have been given a similar treatment. While I’m not asking DC to copy Marvel per say, there was a moment in the film where he could have appeared in. After Steppenwolf is taken back to Apokolips through a boom tube, DC could have given us a quick scene of Darkseid exclaiming his disappointment with one of his strongest New Gods on his home planet of Apokolips. This could have been a great way to introduce audiences to this character much like Marvel used Thanos in Guardians of the Galaxy. A quick one minute of dialogue between Darkseid and Steppenwolf would have been enough for audiences to become familiar with the character. As much as I really wanted to see Justice League this year, pushing back its release date would have been a bold but smart move for DC. With all of its problems behind the scenes and massive reshoots, Warner Bros. would have benefited if more time was given to this film. Joss Whedon was called in to finishing the post production on this movie. But a few months was clearly not enough time as its poor to nearly horrendous looking CGI was apparent. Nothing could have been more obvious than Henry Cavill’s CGI-d upper lip. Almost all of Cavill’s scenes were reshot to include a more upbeat iteration of #Superman. While this decision was made for the better, the post-production artists were not given much time to “clean-up” Cavill’s mustache. Had Warner Bros. made the decision to push back Justice League’s release date, it could have benefited its post production process. Despite this being a small critique on the film, having more citizens in peril could have greatly upped the stakes for the Justice League. Instead, audiences are left with watching a family who are stranded inside of a house located just outside of the war zone. The Flash does end up saving this family, but unfortunately that’s all who we connect with. Avengers and Avengers: Age of Ultron showed many citizens in peril and gave us some great superheroic moments for our characters to shine. Sadly, Justice League did not have these special moments and the fight didn’t feel real enough to me. Man of Steel did a good enough job of this, but Justice League faltered in this department. So those are my thoughts on what could have been for Justice League? Do you agree? Go ahead and share your thoughts in the comment section below!